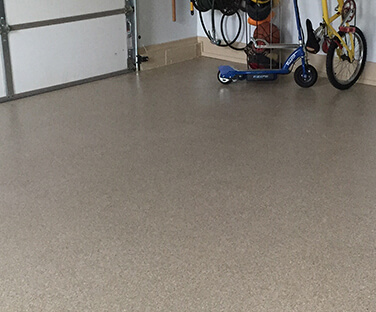 CustomCrete is a certified Increte trained concrete contractor in St. Louis specializing in decorative stamped concrete, stained concrete, garage flooring and concrete resurfacing. Backed by over 40 years of experience, we continue to deliver our customers the very best product at an affordable price. 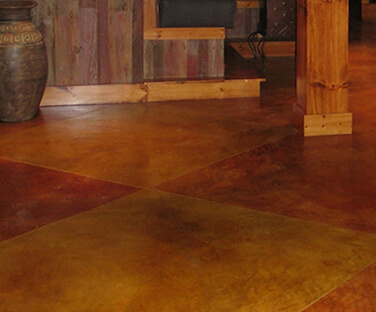 Permanent concrete floor stain that creates beautiful color tones in existing concrete. Provides a distinctive look with unlimited options for a rugged long-term solution. 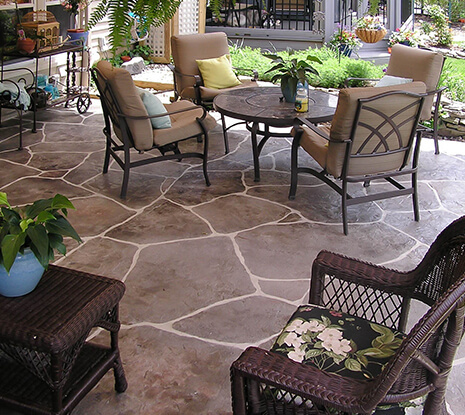 Is your concrete patio, pool deck, driveway or walkway in need of a face-lift? Most people don't consider concrete to be an artistic medium. 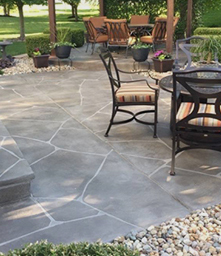 But here at CustomCrete, we take great pride in designing beautiful and innovative concrete work for both homes and businesses across the St. Louis metro area. Our services begin with an initial consultation to discuss your project needs. 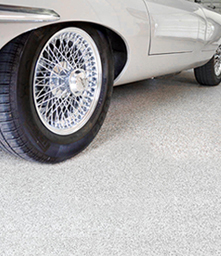 We will review the concrete style options and color palettes to fit your needs. 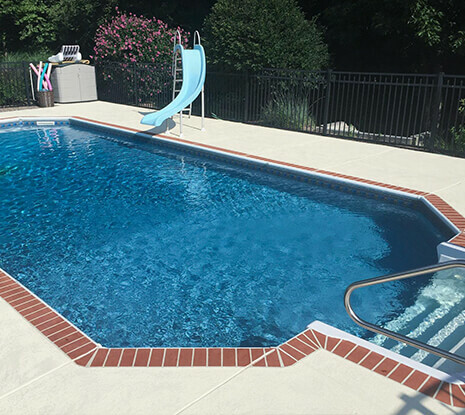 After we have discussed your project, we will make an onsite visit to your home or business to gather measurements and finalize any necessary design changes. 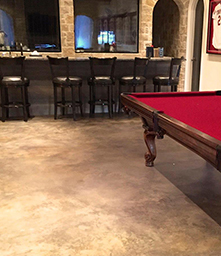 The CustomCrete team will schedule a time to be at your property location and will install your new concrete, ensuring your complete satisfaction. 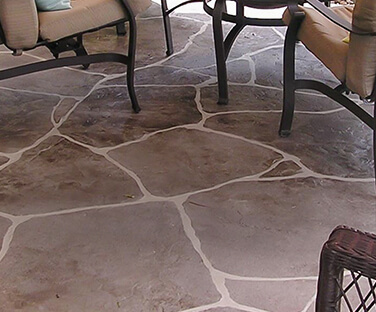 Architects, interior designers and homeowners alike have discovered that concrete is a creative, versatile and cost effective way to add beauty to any renovation or construction project. 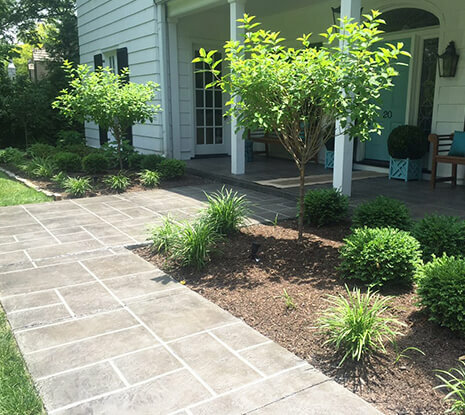 View our portfolio of before and after projects to get inspired! Grant, thank you very much my driveway and sidewalk look great. you and your crew were wonderful to work with. see you on my next project. Fantastic job. 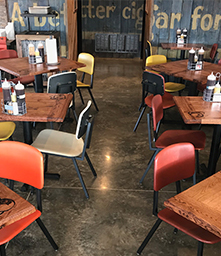 We absolutely love the look and feel of our stained concrete! Not only was Grant professional, he added pizzazz to my once blasé basement. 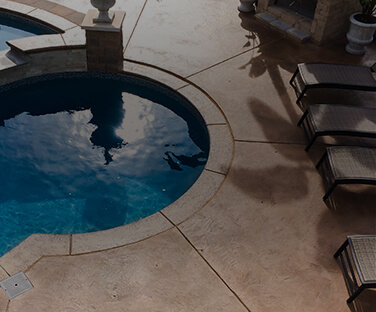 From patios, driveways, and pool decks to floors, sitting walls and fire pits, we customize each project to your unique style and specifications. Contact us today to discuss your project needs.